It is finally that time of the year again where we can expect twists and turns that make roundabouts look like a joke and with enough action to make us think whether it's possible to do in real life. 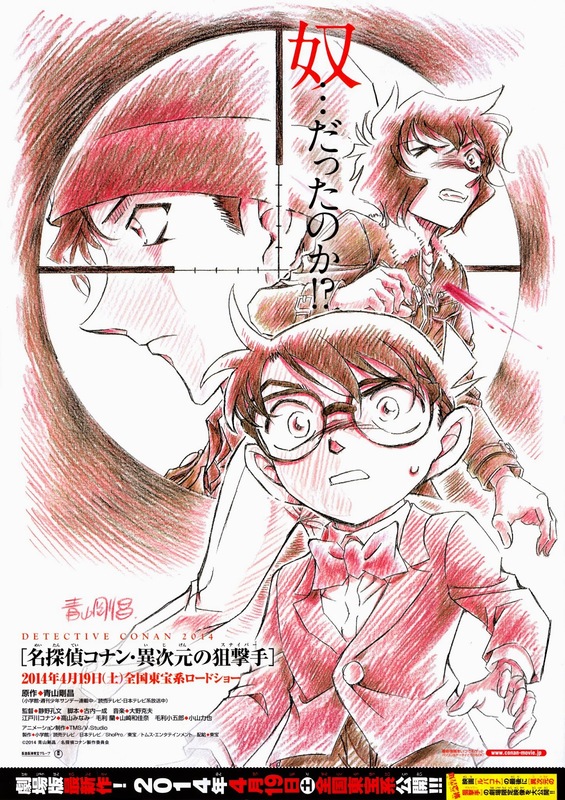 Many people are still recovering from the adventure of Private Eye in the Distant Sea, however a new Detective Conan movie will hit the Japanese theatres next week (19/4). The film features the appearance of FBI agent Shuichi Akai, and revolves around a sniping incident case. Even though someone was aiming a sniper rifle at Akai, it was Sera who was shot in the chest. The people in Tokyo are afraid of getting involved in this dreadful sniping incident. Will Akai, who should be dead, be targeted again? And why was Sera hit? The film will also include appearances by Subaru Okiya and FBI agent Jodie Starling.